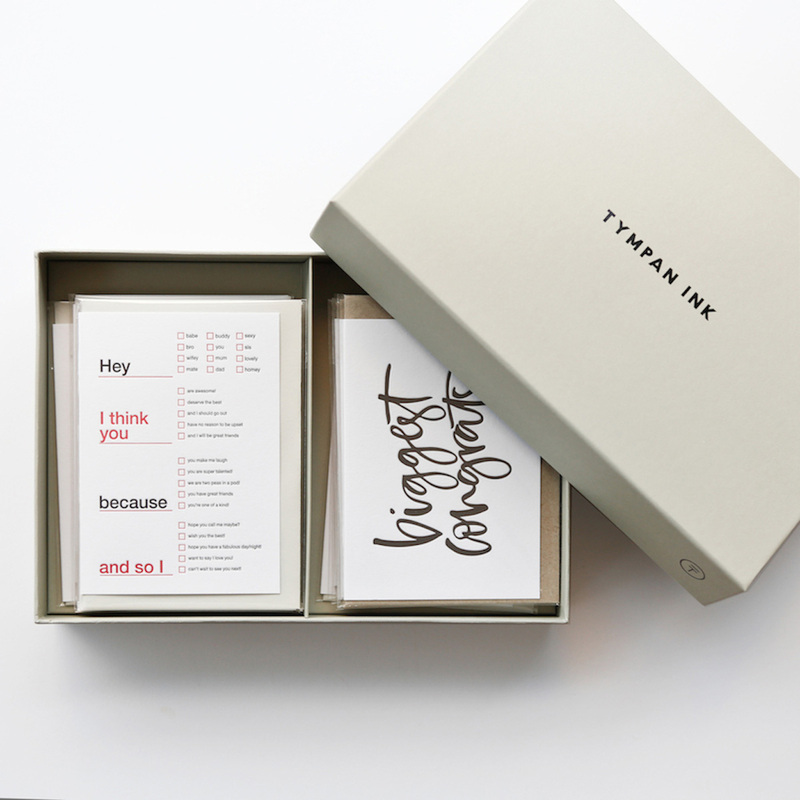 Tympan Ink is a letterpress studio founded from a love of quality design and modern stationery. Each letterpress greeting card is lovingly printed on a vintage Heidelberg Windmill press, then scored, folded and packaged all by hand, right here in Melbourne. 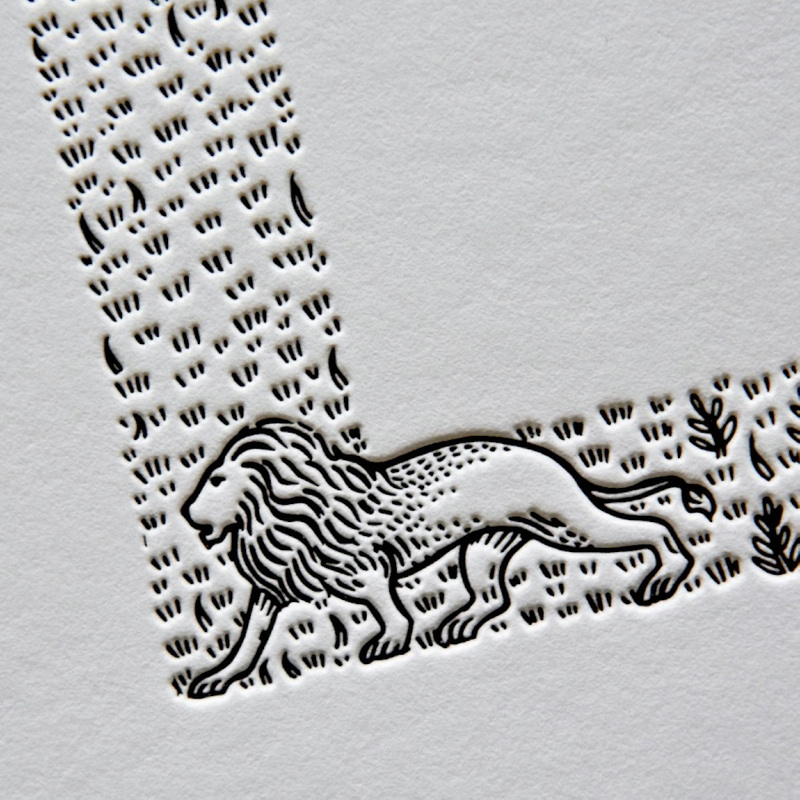 We guarantee you’ll want to run your fingers over the beautiful letterpress texture! Our greeting cards are classic, colourful and quirky. We’ve collaborated with talented Australian designers to produce modern greeting cards with personality and charm that you'll just want to share! 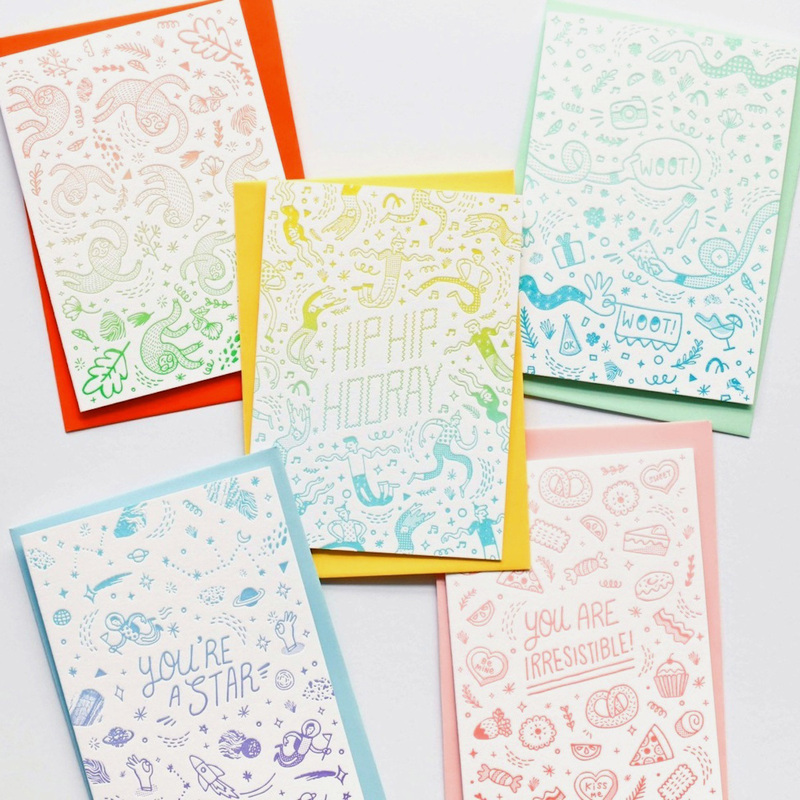 If you’ve ever had to stop by a store on the way to a party to buy a greeting card, we have boxed sets of greeting cards so you’ll always have the perfect card on hand for every occasion. 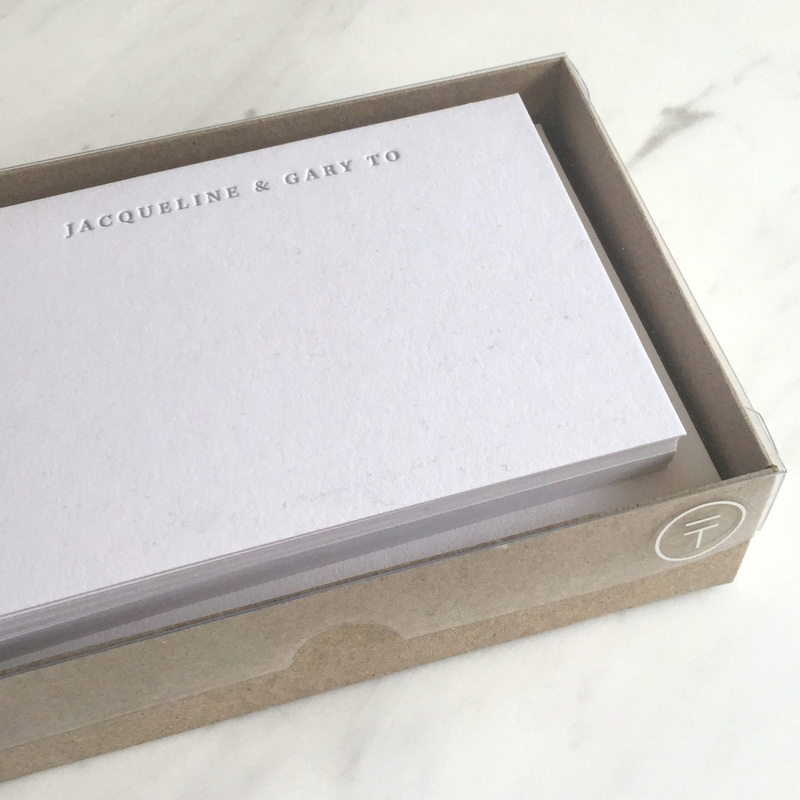 For classy customised stationery tailored to your style, we can letterpress print personalised note cards. 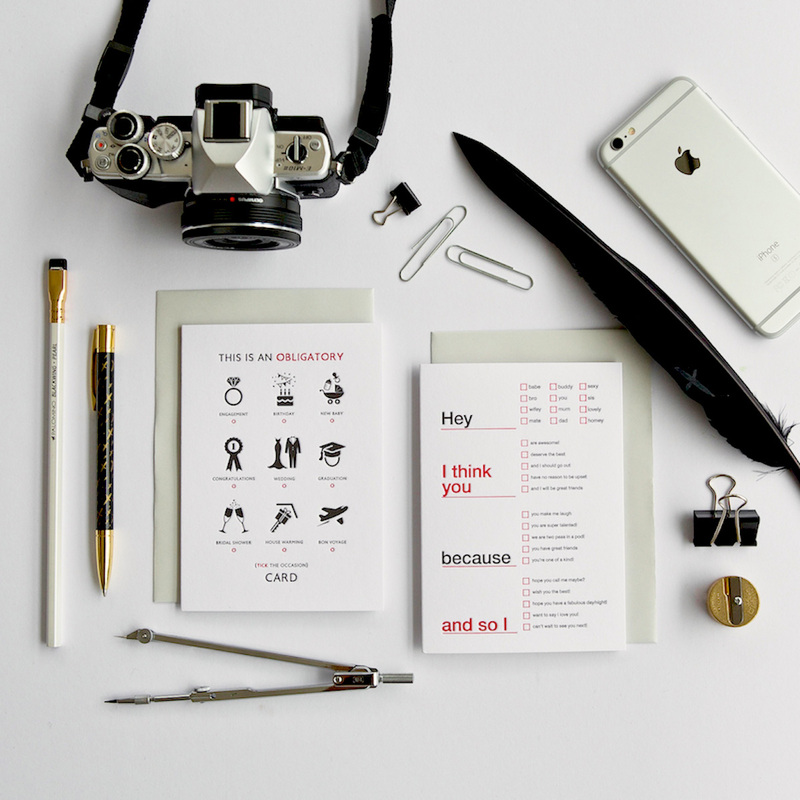 We aim to spread the letterpress love with each hand written card!